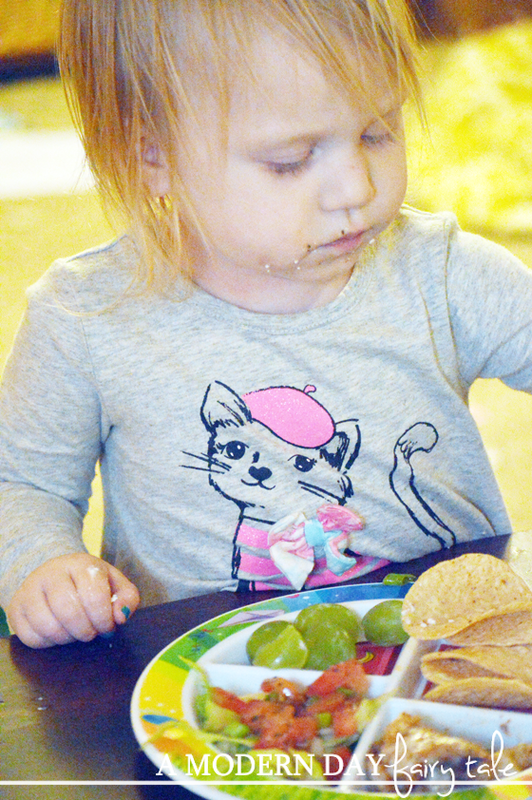 ** A huge thank you to Fresh Baby for sponsoring today's post! All thoughts are my own. How often does your family eat seafood? Once a week? Once a month? Never? As a pescatarian (a vegetarian that eats fish), seafood is a staple in my own home. But so often when I talk to others about it, it seems seafood is a rarity. But did you know that eating seafood is actually really good for you? Fish is an excellent source of Omega-3 fatty acids, which has been shown to help with memory, psychological issues and behavioral issues as well as development and eye health! It's no wonder that USDA recommends eating seafood twice a week!! So, why aren't people eating it more? In my experience, it comes down to three simple excuses- lack of options, budget and taste. Today, I'm sharing my answers to those excuses. "There's no seafood available in my area!" Okay, so this is a semi-valid excuse. When we lived in California, I loved being able to go into our local grocery store or fish markets and have the greatest selection of fresh seafood available. Mahi mahi, salmon, swordfish... YUM! When we moved to Indianapolis, the fresh seafood selection was much smaller, though I can generally find a good salmon and catfish at least. But where I grew up? A small middle of nowhere country town. I honestly cannot recall ever seeing fresh fish in the stores back then! Still, while I certainly love and prefer fresh fish when possible, frozen can be a great alternative too, so don't count it out completely. Even canned tuna or salmon can make a delicious meal that still gives you the nutritional advantages of fish. You may not have fresh seafood available at all times, but there are suitable alternatives no matter where you go!
" It doesn't fit into my budget." One of my favorite dishes I've ever prepared for my family was a delicious tomato and feta stuffed sea bass. Absolutely delicious! But the cost? The fish alone was over $30 to feed my family of 4! Delicious, yes. Budget friendly, no. It was great for a fun, not-your-every-day-meal kinda meal but we couldn't afford to eat like that twice a week every week, that's for sure! When we think seafood, we see dollar signs and as you can see, that certainly can be true! But it doesn't have to be! Tilipia is a very versatile option that is very inexpensive-fresh or frozen. Catfish tends to be a bit higher (in my area at least), but still very budget friendly and often cheaper than many meats. Even salmon- another favorite of mine- can often be found on sale at times. When you watch for deals and sales, even fresh fish can be made to fit into your budget. But again, frozen and canned can be great budget friendly options as well. Salmon patties have always been a favorite for my oldest child- made with canned salmon, onions, whole grain Ritz crackers, eggs, etc- this tasty meal was as simple as it was inexpensive. A delicious tuna melt on whole wheat? Even using the more expensive (and admittedly tastier) white albacore tuna is still cheaper than most meats! When you add in extras like onion and celery, it can take your basic ol' tuna salad to a whole new level- while still within your budget!
" Yuck! I cannot stand fish!" or "My kids would NEVER eat it." Can I make a confession? When I first stopped eating meat, I wasn't a fish fan either. Truly, it was only a compromise with my mom who felt that I needed a better source of protein in my diet. I was only 13, so I agreed. But I didn't like fish much at all. That all changed when I got married, moved to California and actually started playing around and trying new things with seafood. If you think you don't like fish, I encourage you to try again and get creative! Try new seasonings- I love a good Cajun spice on my fish, and smoked paprika is fantastic too! Try fun sauces or different cooking methods like grilling or broiling. But most importantly (especially for kids)- think outside the filet! I've found that if you make it fun and appealing to them, kids are much more willing to eat 'non-kid' foods than we give them credit for! Those salmon patties I mentioned earlier? Kids love them! Another kid favorite? Pasta! Toss some shrimp in for a delicious twist on your typical spaghetti. We've even made a Cajun Shrimp Pizza that my son loved! 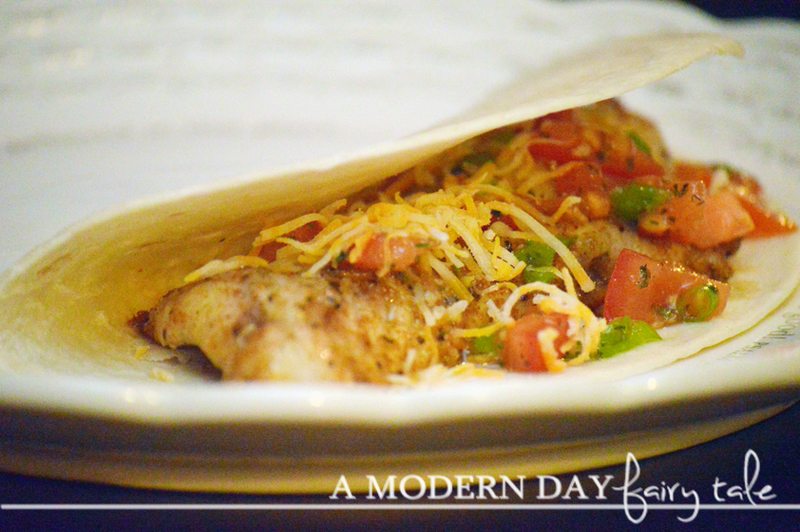 But perhaps my absolute favorite way to prepare fish for my family is Fish Tacos!! 8 - Taco Shells, soft and/or hard shell. Tortillas can be used as well. 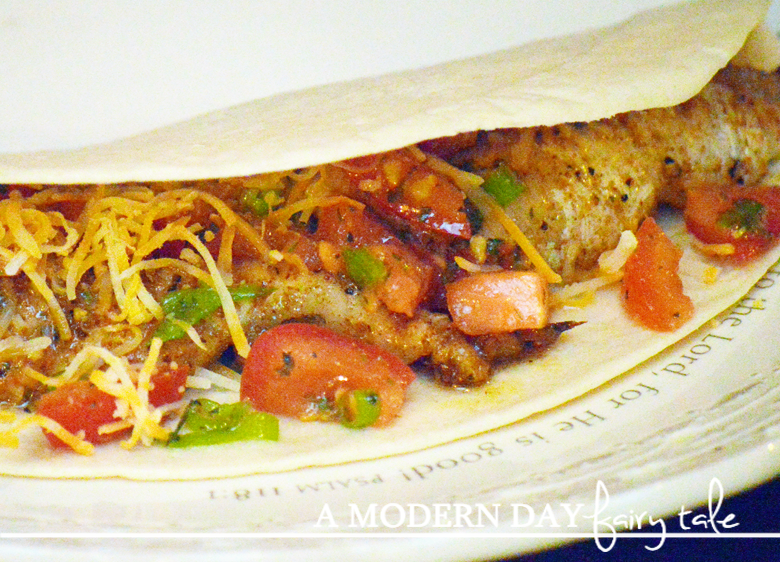 Cut fish into 1 inch strips and toss with Cajun spices and 2 Tbsp. of oil. Bake in a 325 degree oven for 8-10 minutes or until done. Meanwhile, chop tomato and scallions. Build taco with favorite toppings in a soft or hard shell tortilla. These tacos are absolutely delicious! 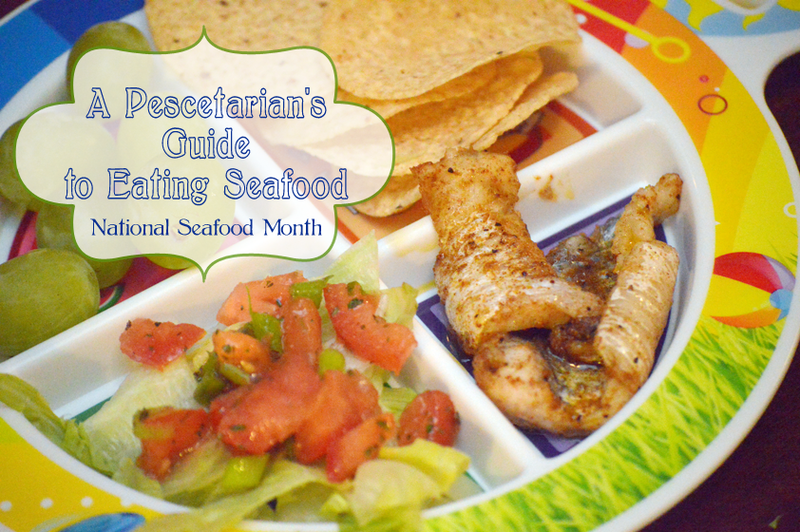 Such a fun-and kid friendly- way to incorporate seafood into your diet! In honor of National Seafood Month, I would love to encourage all of you to consider these tips and give seafood another chance! Seafood doesn't have to be boring or expensive, and truly can become a regular part of your healthy diet. Need more inspiration? Check out the 10 Tips to Help You Eat More Seafood. And this post from Fresh Baby offers great information on kids and fish too. How often does your family enjoy seafood? 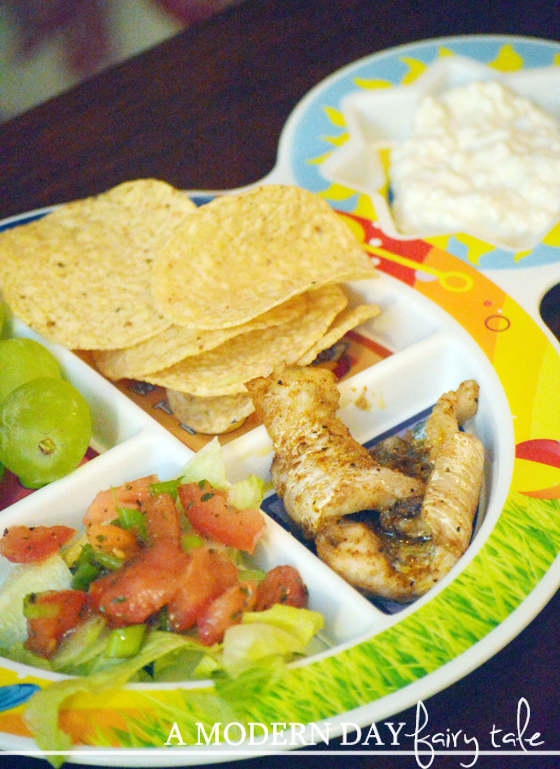 What tips do you have for getting your whole family-kids included- to eat fish? Any favorite fish recipes for kids? I'd love to hear all about it in the comments!